On November 12, Sotheby's auctioned an exclusive timepiece by IWC Schaffhausen: the Big Pilot's Watch Annual Calendar Edition "Le Petit Prince", which went under the hammer, garnering a winning bid of 38,000 Swiss Francs. A portion of the proceeds of this auction will benefit the Antoine de Saint-Exupéry Youth Foundation, in order to boost its expansion into the USA and reach its goal of offering training and educational projects to even more young people throughout the world. The Big Pilot's Watch Annual Calendar Edition "Le Petit Prince" (Ref. 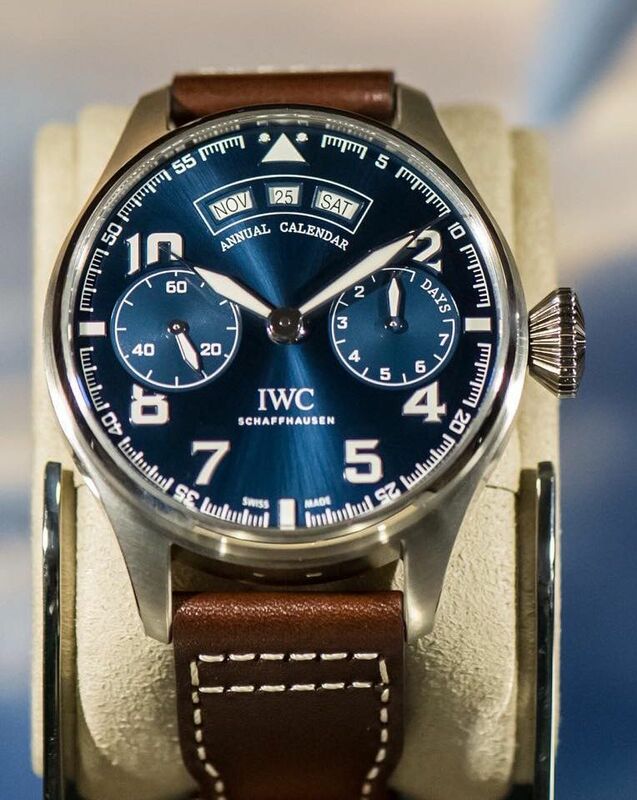 IW502705) features an 18kt white gold case and a blue dial powered by the IWC-manufactured 52850 caliber. 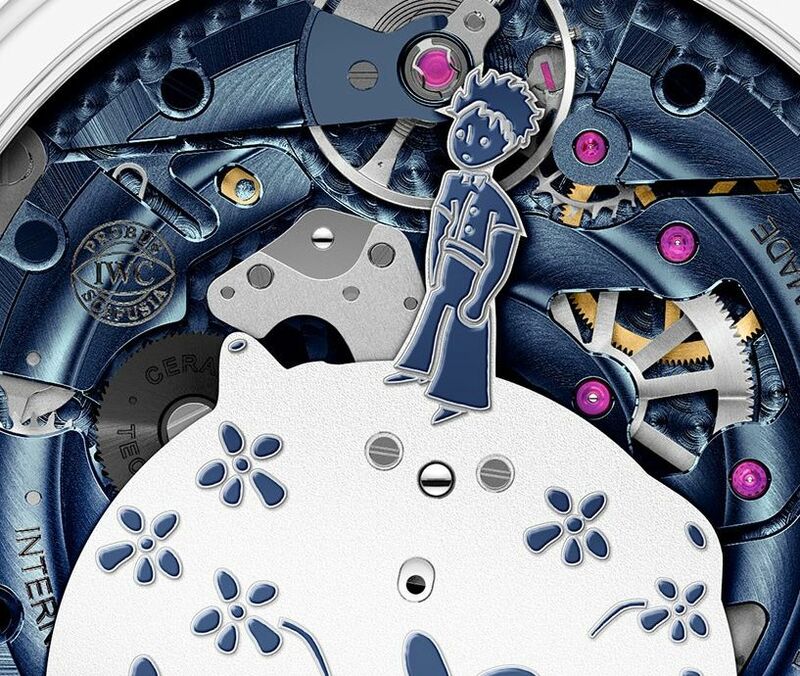 This unique piece has a blued movement and an ornate, hand-painted rotor, adorned with a blue floral pattern, which takes the form of the little prince from Antoine de Saint-Exupéry's story "Le Petit Prince" on an asteroid. The movement is elaborately coated with metal oxides to give it its blue color, an effect which is achieved using the process of chemical vapour deposition (CVD). "I am delighted that we are able to use the proceeds raised from auctioning this exclusive Pilot's Watch to support the important work of the Antoine de Saint-Exupéry Youth Foundation again this year," says Christoph Grainger-Herr, CEO of IWC Schaffhausen. 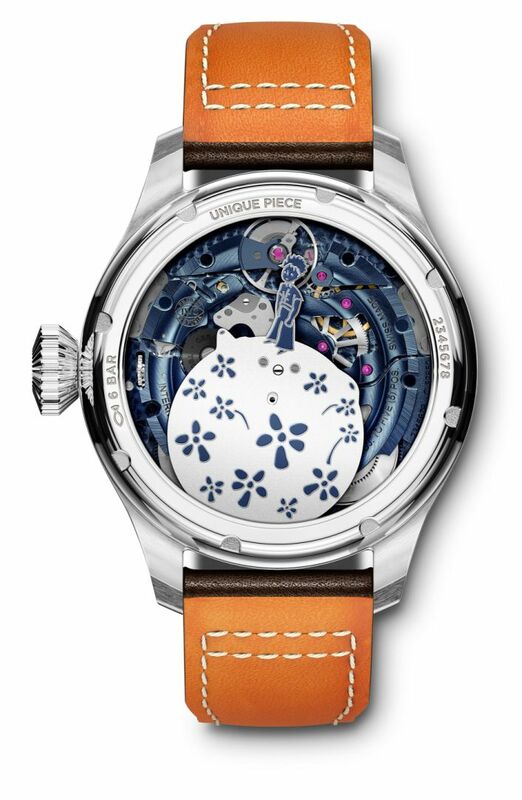 This auction in Geneva was the fifth IWC has carried out in cooperation with Sotheby's Geneva. A portion of the proceeds will benefit the foundation, helping it to establish itself on the North American continent. It is no coincidence that this charitable institution is aiming to cross the Atlantic. After all, Antoine de Saint-Exupéry himself had a strong connection to America: he flew a Lockheed P-38 Lightning on multiple occasions and wrote his story "The Little Prince" in New York. The Antoine de Saint-Exupéry Youth Foundation was established in 2008 by the descendants of the French author and pilot Antoine de Saint-Exupéry. It offers various training and educational programmes designed to help children and adolescents living in difficult conditions get a better start to working life. The main focus of the foundation's activities is on fighting illiteracy and supporting young people with visual impairments by conveying knowledge about Braille. Previous Topic: So, where all the Portuguese Annual Calendars?